We love Woolen Sweaters !! Share and care Foundation donated free Woolen Sweaters to 58 Ranga Avadhut Manavdham School Students ,Vadodara Dist. Gujarat IN. Thanks to our project sponsors Rajiv & Aruna Hargunani of Dallas.TX. Thanks Sumanbhai Shah to organize this project of January 2017. 347. Thank You, for Giving me New Woolen Blanket !! Share and Care Foundation donated Woolen Blankets to 62 needy Women of Piperkuie Village Guj, IN. Thanks to our sponsors Pra vin & Harsa Shah of Sugarland, TX. USA. Thanks Rohit Shah and Dinesh Patel to organize this program of January 2017. 348. Wow ! I got free Nutrition Food Package !! 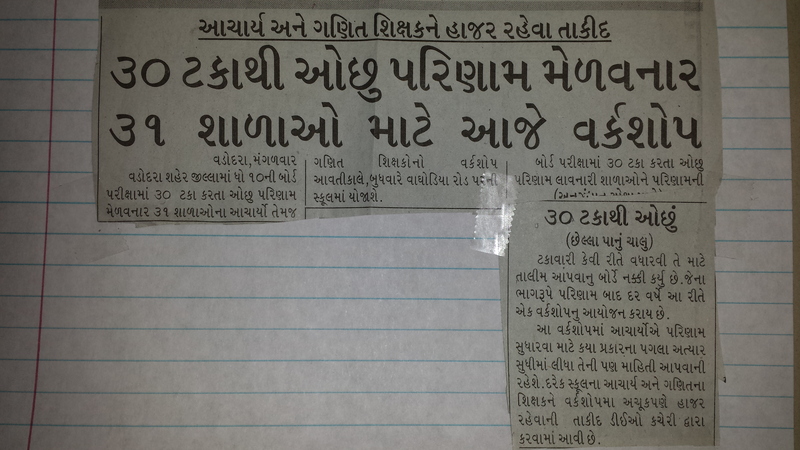 Share and Care Foundation donated Nutrition Food Packages to 58 Students of Piperkui Village School, Guj. IN. Thanks to our project sponsors Dr. Megha Chandramohan and Ami Sajanwal of Kansas City KS USA. Thanks to Rohit Shah and Dinesh Patel to organize this January 2017 project. 349. Free Dental kit for Me !! Share and care Foundation donated free Dental Kits to 68 Mukdhvani School Senior Girl- Students ,Karelibaug Vadodara Dist. Gujarat IN. Thanks to our project sponsors Rajiv & Nayana Hargunani of Dallas TX. USA. Thanks Sumanbhai Shah to organize this project of January 2017. 350. Thank you for giving us new Saree !! Share and care Foundation donated free Sarris to 55 Ranga Avadhut Manavdham Ashram’s poor Women ,Vadodara Dist. Gujarat IN. Thanks to our project sponsors Pravin & Harsa Shah of Sugarland.TX. Thanks Sumanbhai Shah to organize this project of January 2017. 351. Woolen Sweaters for Me !! Share and care Foundation donated free Woolen Sweaters to 48 Aganvadi No.2 School Students ,Vadodara Dist. Gujarat IN. Thanks to our project sponsors Rajiv & Aruna Hargunani of Dallas.TX. Thanks to Rohit Shah and Govind Shah to organize this project of January 2017. 352. Wow ! New Saree for Me !! Share and Care Foundation donated Saree & Blouse Piece to 64 Needy Women of Mot imanekpur Village, Guj. IN. Thanks to our project sponsors Pravin & Harsa Shah of Houston TX. USA. Also thanks to Rohit Shah and Dinesh Amin to organize this project of January 2017. 353. Wow ! I received Share and Care Medal !! Share and Care Foundation was awarded 58 Secondary High Schools of Vadodara District by DEO of Guj. Education Department. We worked hard to improve results of SSC Examination and achieved goal above 33% results of 52 High Schools, Bhayali School students were awarded by Share and Care Medal. Thanks to our project sponsors Rajiv & Aruna Hargunani of Dallas TX. USA. Also thanks to Pradumnabhai Joshi and Sumanbhai Shah to organize the project of January 2017. 354. Wow ! Free Dental Camp !! Share and care Foundation donated funds for Dental Checkup Camp for 130 Kelavani Trust School Junior Students, Vadodara Dist. Gujarat IN. Thanks to our project sponsors Dr Kuntal and Dr Shivani Pandit of Birmingham AL. USA. Thanks MP Dental Hospital Staff and Sumanbhai Shah to organize this project of January 2017. 01. Congratulation ! Share & Care You did it !! Share and Care Foundation has completed 365 Projects during 2017 and posted on Word Press, Facebook and Twitter. Thank you to all Donors, Volunteers and Working Group Members. Share and Care Foundation arranged a free Dental Camp for all residents of Waghodia Slum Area during last week of December. Medical02. 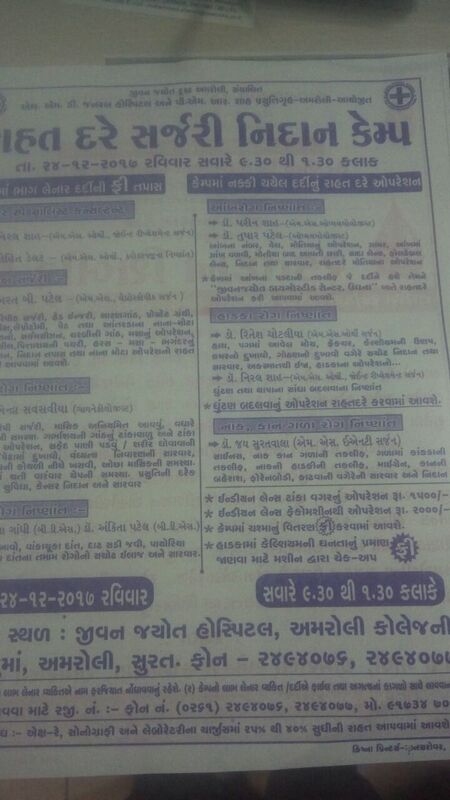 Free Medical Camp at Surat !! 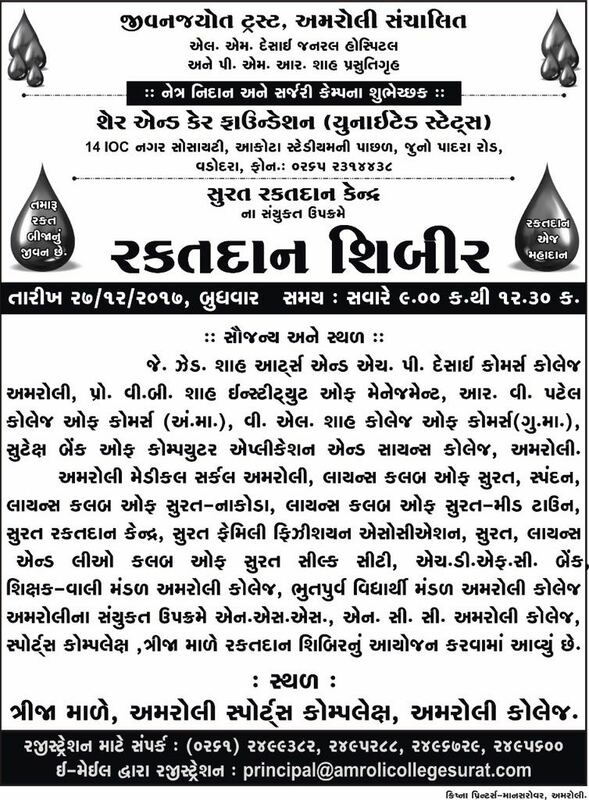 Share and Care has arranged a Free Medical Camp at Surat Hospital on Sunday Dec 27th ,9.30am -1.30pm. All are welcome.